Should a 34 Year Old Man Be Injecting Testosterone? I am a 34 year old male, 5'6 and 157 lbs. Far from out of shape, I've had an athletic build all my life. I have a blood test indicating a low testosterone level of 339. My doc said at my age I should be over 800, so he put me of Testosterone Cyponate, 1cc a week. 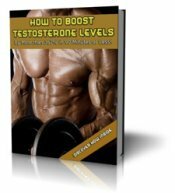 What would you recommend as far as natural testosterone supplements? 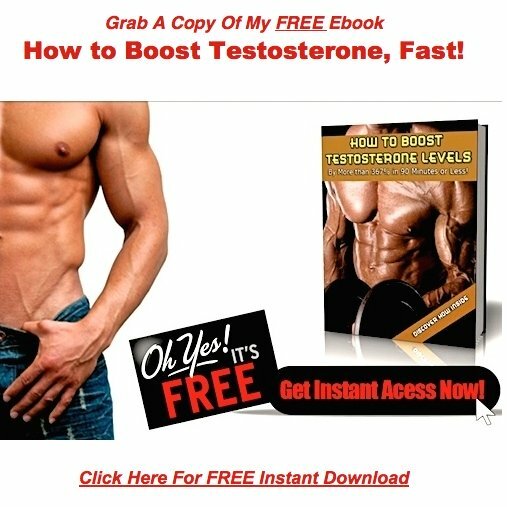 I wouldn't waste my time on the T-Boosting supplements unless you're willing to stop injecting testosterone. If you try both at the same time, you'll just be wasting your money, so don't even bother. I have a feeling your doctor failed to inform you that the treatment he recommended is only going to make your situation worse. And that message says, take the day off today boys, I've got this male hormone thing covered. Have you ever heard the phrase, "use it or lose it", Joe? That's what you need to be worried about right now, because if you continue on your current course, you're going to lose your testicles. Yup, testicular atrophy is going to set in big time, and when it does, you'll be left with two unpleasant choices. Ask your doctor for help, and he'll probably opt for selection number 2. Help will come in the form of a prescription for Human Chorionic Gonadotropin (HCG) to shut down the atrophy. Side effects like gyno, prostate growth, and out of control estrogen levels. The female fertility drug, Clomid, usually comes next to treat these issues, but it delivers a whole host of side effects as well. You can take your chances on this treatment Joe, but you need to remember one very important fact. You need to ask yourself what's going to happen if live to 85 years of age. Are you going to ride this roller coaster for 50 years or more? And what exactly is going to happen to your body after these 50 years of uninterrupted drug use. Your doctor doesn't have a clue, and neither does anyone else walking here on planet earth. My advice to you now? Work with your doctor to get off the testosterone. Attack this problem at the source, heal your body from the inside out, and bring it back into harmony with nature.